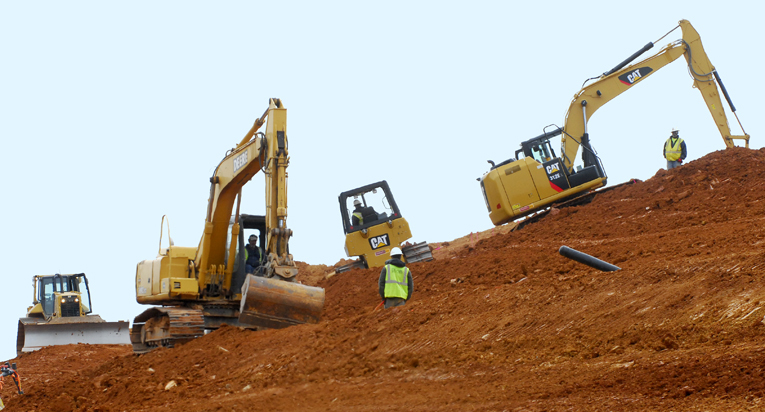 Highly experienced in all phases of landfill construction, Brad Cole Construction can handle virtually any project. For the waste, power generation and pulp-and-paper industries, they have successfully performed numerous projects involving new construction, cell expansion and closure. Notable projects include constructing one of the largest RCRA Subtitle D lined landfills in the Southeast, involving over 110 acres of lined area using HDPE liner, and for a pulp-and-paper customer performing a 65-acre closure of a landfill containing plastic tailings and paper mill waste (which when combined have the consistency of thick gelatin).